San Diego events November and fun things to do in San Diego. Enjoy these fun fall events and things to do in San Diego, the best vacation spot for locals and tourists in Southern California. Don't miss out on these great fall activities, and special things to do for Thanksgiving in San Diego CA. Palm Springs Vacation - November is a great time to visit Palm Springs, where the desert is a pleasant temperature to enjoy the outdoors. Make this your best weekend away at a Palm Springs Vacation. Explore Tidepools - November dates TBD 2019 at various times at low minus tides. 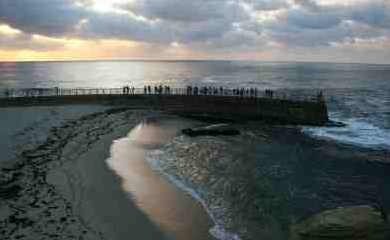 Fall and winter is the best time to explore the San Diego tide pools. It's free and a great weekend kids activity. 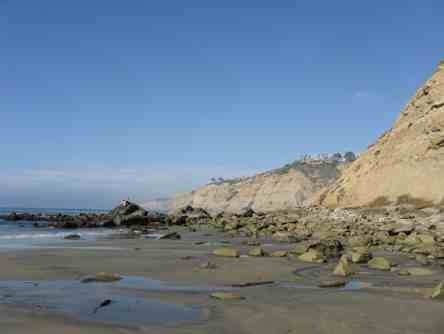 Here is a list of best times to visit and more information about the San Diego Tide Pools. San Diego Beer Week - November dates TBD 2019. Explore the many breweries in San Diego at the special events this week. I can’t think of anything more fun than a night of Funk and Pizza. So…in keeping with the funk I think I will head on out to the Annual Sour & Funk Night at Pizza Port in Ocean Beach on Friday! That’s right, I plan to keep the San Diego Beer Week going while checking out a few other craft brewers as well. Oh yea…to top it all off I get to dress funky as well. Pretty sure my Halloween groovy threads will be perfect! 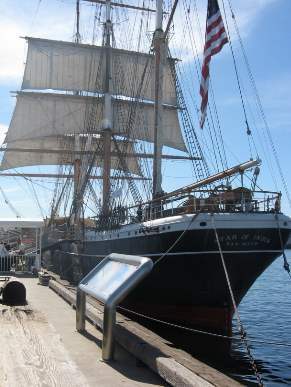 San Diego Harbor Waterfront – For a fun day in San Diego, enjoy a stroll along the San Diego waterfront and admire all the historic ships. Walk down to Seaport Village and visit the unique shops. For the young kids, reward them with an ice cream cone and a ride on the merry-go-round. Holidays at Disneyland - early November 2019 - early January 2020. Thanksgiving, Christmas and New Years are special holiday time at Disneyland. See the fireworks, decorations, Christmas Fantasy Parade, new Disney Festival of Holidays and more for your Holidays at Disneyland. Carlsbad Village Faire - Sunday November date TBD 2019 from 8 AM - 4 PM in Carlsbad, CA. This great North County San Diego event features over 850 vendors, making it the largest street festival of its kind in the county. Art fair, arts and crafts, antiques, unique clothing, restaurants, food and more. On Carlsbad Village Drive west of Interstate 5 to the ocean. Don't miss this festival, another of the best San Diego events. Holiday Events and Christmas Activities - Looking for holiday activities in San Diego, Oceanside, Carlsbad, Encinitas, Solana Beach, Del Mar, La Jolla, and Coronado? See San Diego Thanksgiving Activities and Christmas Activities in San Diego. Lagoon Nature Walk - Explore a nature trail near your home. Most of the lagoons have nature trails, some with guided walks and visitor centers where you can find out more about this fragile ecosystem, fauna and flora. Silver Strand Half Marathon, 10 Miler and 5K - Sunday Nov. TBD 2019. Runners and skaters welcome to run along the Strand from Coronado to Imperial Beach. Tag teams welcome. Starts in Coronado at Orange Avenue and Glorietta Blvd and finishes at the Imperial Beach Pier. 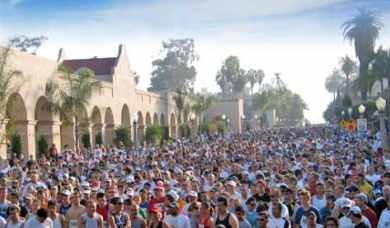 Alternatively, the 5K Run/Walk starts and finishes at the Imperial Beach Plaza at 7:00 AM. 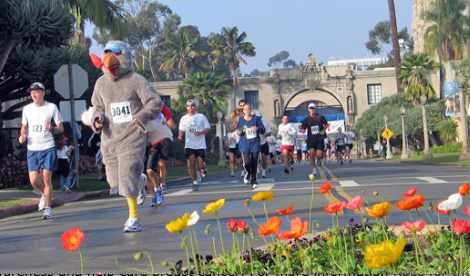 Register now for one of the best race San Diego events November. Guided Tidepooling Adventure - November dates TBD. Birch Aquarium at Scripps offers guided visits to La Jolla tide pools to learn how these amazing habitats and their inhabitants truly survive "between a rock and a hard place." Trained naturalists will show you how to tread lightly around these fragile habitats and help you discover the great world of tide pools here in San Diego. $15 per person (ages 2+) & only $12 if you are a member of Birch Aquarium. RSVP Required: Call 858-534-7336 or see more information at San Diego Tidepooling. Encinitas Fall Festival - Sunday November TBD 2019 in Encinitas, Cali. South Coast Highway 101, from D to J street, from 9 AM - 4 PM. 400+ arts and crafts vendors, food, music, family amusement & entertainment. One of the fun north county San Diego events (formerly called the Poinsettia Festival). www.encinitas101.com Park in nearby Moonlight Beach parking lot (Directions: take Encinitas Blvd. west from Interstate 5, cross over 101 and park in the lot between B and C street). Or take the Coaster Train. SEA Days at Birch Aquarium - Saturday November 16 2019 from 11:00am-3:00pm Free with admission to Scripps Birch Aquarium. Discover Science, Exploration & Adventure for the whole family at Birch Aquarium’s new program – SEA Days! Topics vary each month. Birch Aquarium. Thanksgiving Dinner - We hope you have a happy Thanksgiving. 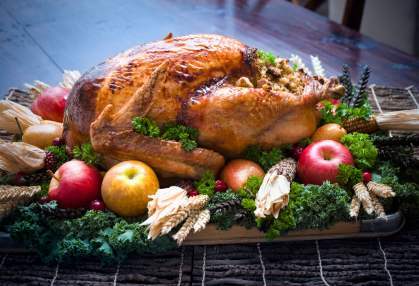 Please see our pages on San Diego Thanksgiving Dinner Ideas and San Diego Thanksgiving Activities. Ice Skating by the Sea - November TBD 2019 through January 1 2020 at The Del, Hotel del Coronado. Enjoy outdoor ice skating at Coronado beach, overlooking the Pacific Ocean. Tickets cost $25 per person. Hot chocolate and holiday drinks make this a festive San Diego holiday activity. For more information and schedule see www.hoteldel.com. San Diego Thanksgiving Dixieland Jazz Festival - November dates TBD 2019 at the Town and Country Resort Hotel and Convention Center. Join in the fun with at San Diego’s 32nd annual Jazz festival. Reserve your Thanksgiving day buffet. For more information and schedule see www.dixielandjazzfestival.org. Things to Do in San Diego - For more San Diego events, check out these Things to do in San Diego. Other Holiday Events and Activities in San Diego - For other fun family activities and winter holiday events, see Thanksgiving Activities, Christmas Activities and December Events .